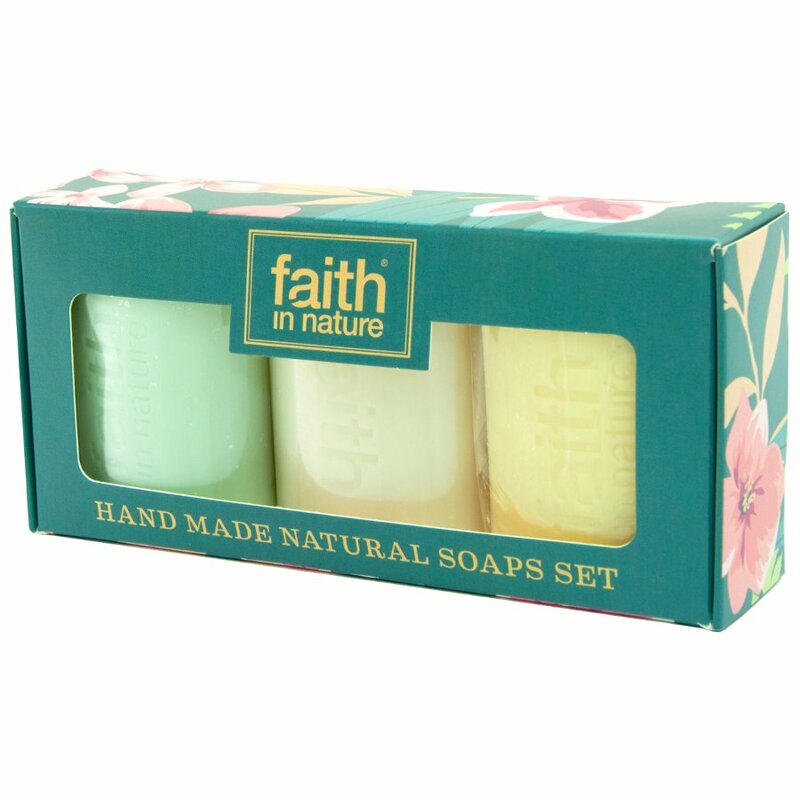 A beautiful handmade soap gift set containing Aloe Vera, Orange and Lavender scented soap bars. 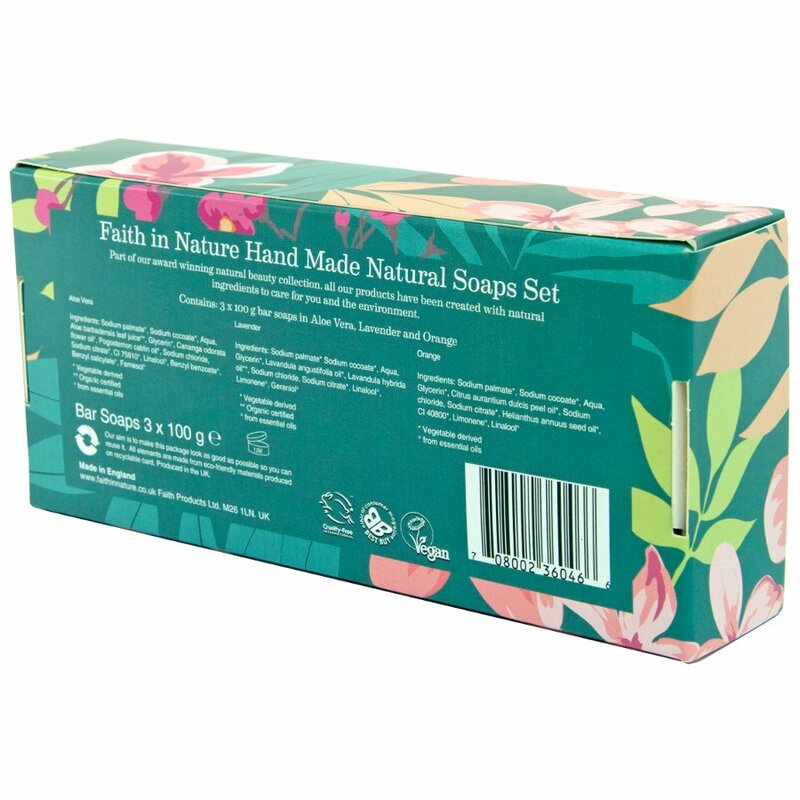 Vegan friendly and certified cruelty free, these organic, UK made soaps make the perfect gift for a friend or colleague. 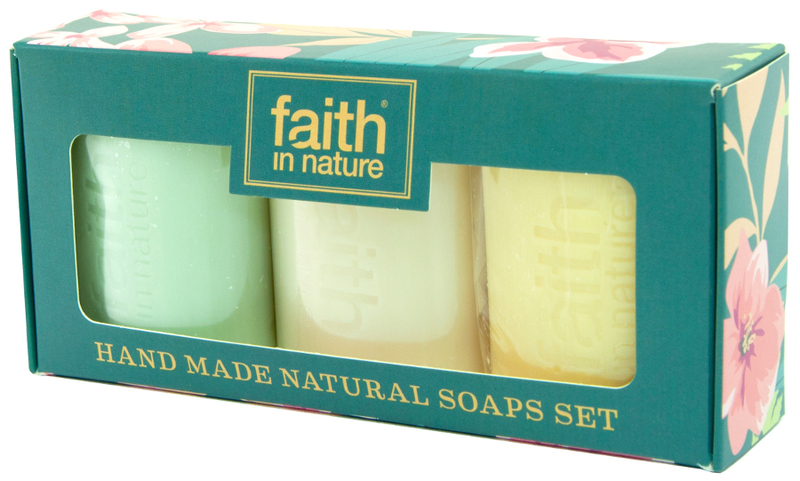 The Faith in Nature Handmade Soap Gift Set product ethics are indicated below. To learn more about these product ethics and to see related products, follow the links below. The packet looks good - these soap bars are simple but of a good size. LOve this soap set! I have bought this on several occasions for my own use and also to gift. each soap lasts well and has a pleasant , light fragrance. 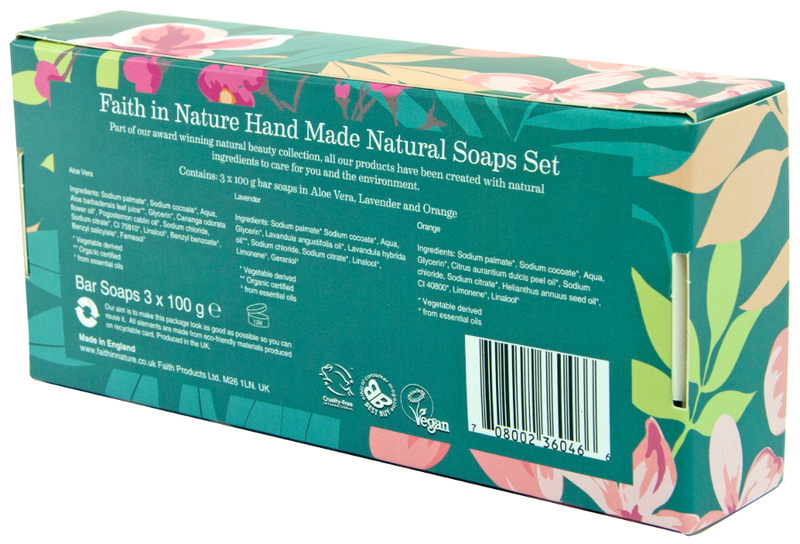 Bought at the offer price, this set is cost effective as an everyday soap.